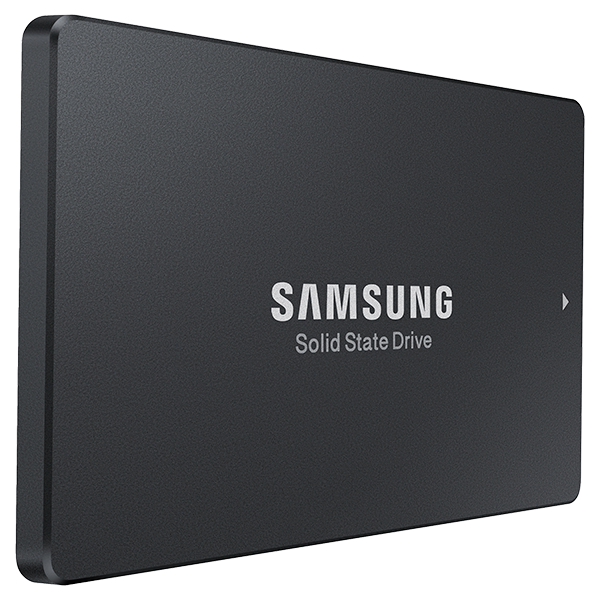 At CES, Samsung displayed a variety of new SSD solutions, including PM863 and SM863, the company's new SATA 6Gbps enterprise drives. At the time Samsung was only sampling its key OEM customers, but with today's announcement Samsung is making the drives available through its retail channel in early August. The PM863 and SM863 are based on Samsung's in-house "Mercury" controller, but unfortunately I don't have any additional details on the controller architecture itself. I'm guessing it's a derivative of the client-grade controllers utilizing ARM Cortex R4, but I'll have to wait for Samsung's reply before I know for sure. The PM863 is the successor to Samsung's 845DC EVO line and makes the switch to more durable and performant 3D V-NAND. As you will find out in our Micron M510DC review tomorrow, the 845DC is actually a very good and consistent drive despite using TLC NAND, so I'm very intrigued to see how Samsung has been able to improve performance with V-NAND. At least random write performance sees a good 40-50% upgrade and the endurance is now ~1.3 drive writes per day, whereas the 845DC EVO offered only 0.35 DWPD. In addition to V-NAND, the other major upgrade in the PM863 is the addition of 1.92TB and 3.84TB capacities. Higher capacities allow for further cost savings by reducing the number of racks needed to achieve a specific capacity and in terms of drive prices alone the higher capacities offer more competitive cost per gigabyte. 4TB-class SSD itself isn't record breaking as SanDisk has been selling its Optimus Max for quite some time already, but the PM863 is a 2.5" 7mm product built on a single PCB, whereas SanDisk's is 15mm thick and needs multiple PCBs, giving Samsung a substantial cost advantage. Whereas the PM863 succeeds the 845DC EVO, the SM863 is here to supersede the high-end PRO version. The 845DC PRO already made the switch to 3D V-NAND, but the SM863 upgrades the NAND from the first generation 24-layer to the latest 32-layer design for increased cost efficiency. I'm suspecting this is the same 86Gbit die that's used in the 850 PRO, but the 2TB 850 PRO appears to use a new 128Gbit die, so at this point I'm unsure about the exact NAND used in the SM863. I'll keep pinging Samsung for an answer, though. The SM863 actually provides lower random write performance than the 845DC PRO, which is due to the reduced default over-provisioning as the SM863 only has 12% compared to 28% in the 845DC PRO. That said, the over-provisioning is user-configurable (Samsung even mentions that in the press release), so applications that require higher random write performance may increase the over-provisioning for higher performance. Endurance wise the SM863 is rated at about 3.5 DWPD for five years, which is again less than the 845DC PRO's 10 DWPD but additional over-provisioning will increase that. Due to the more durable MLC V-NAND, the SM863 is mostly aimed for write-intensive applications that includes use cases such as online transaction processing (OLTP) and financial services, whereas the PM863 is targeted at read and mixed IO workloads, such as media streaming. Both feature tantalum capacitors for full power loss protection and support end-to-end data protection. The pricing of both drives seems fairly competitive because the PM863 only carries a ~10% premium over the 850 PRO, and the SM863 carries another 10% premium over the PM863. We look forward to getting the new drives in for review and putting them through our new 2015 Enterprise SSD Suite, so stay tuned! That's cheap even before they call it an enterprise drive. Still takes $660+ (during a sale) and two drives to get 2TB worth of SSD space, vs $75 for a 2TB WD green. Yeah, it's gonna be a while before there's any parity, even relative parity.